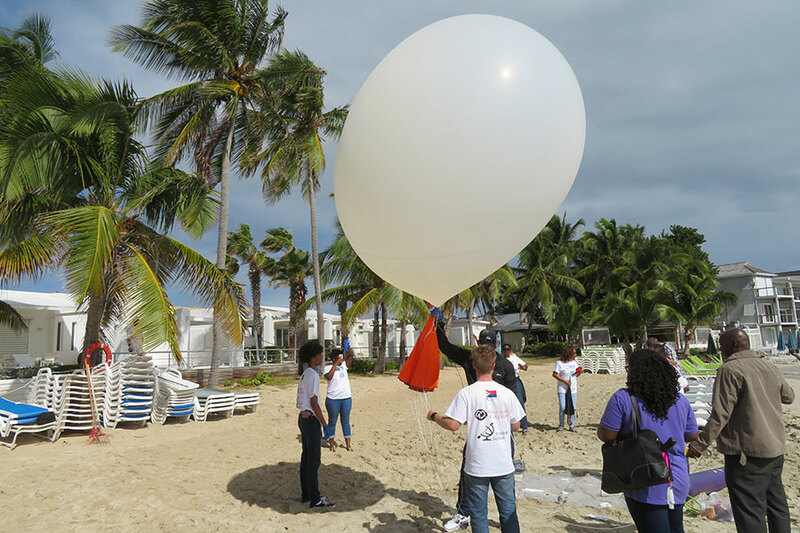 FSU Professor Henry Fuelberg helps science students on the Caribbean island of St. Maarten complete their research project, which included building and launching a weather balloon. A happenchance experience on Florida State University’s campus led to a rewarding collaboration between the university and some very dedicated high school students on a tiny Caribbean island. Over the past year, Henry Fuelberg — a professor in FSU’s nationally renowned meteorology program and doctoral candidate Tristan Hall — brought essential expertise and encouragement to a rare research project conducted by students in St. Maarten located east of Puerto Rico. In December, Fuelberg and Hall traveled to the southern area of the island, which maintains a sister-city relationship with Tallahassee, to help complete the mission of launching a weather balloon. It would be equipped with a unique payload — designed and built by the students — containing atmospheric sensors, video cameras and GPS-tracking equipment. The project presented some perplexing challenges for students, many of whom aspire to attend Florida State, but ultimately it taught valuable lessons about scientific research, teamwork and life. 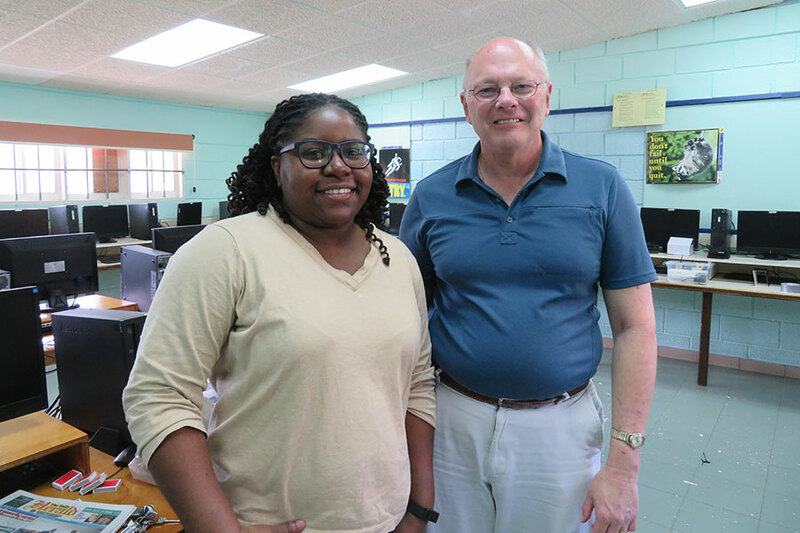 They embarked on the project with the help of their information technology teacher Marcus Nicolaas at Milton Peters College, which is the equivalent of a high school in the United States. Last spring, Nicolaas was visiting Florida State’s campus when he suddenly looked up and saw a weather balloon soaring away from the Love Building where the National Weather Service (NWS) is based. Every day, the NWS launches two weather balloons to compile data for forecasts. These industrial-strength balloons, filled with helium, rise to an altitude of about 25 kilometers where the air is so thin and the pressure so low, the balloon expands and ultimately bursts. Coincidentally, Nicolaas was teaching his students at that time how to build the payload for a weather balloon and then launch it. But there was one basic problem: He had never conducted such a launch. So when he saw the balloon fly over FSU’s campus, he marched directly to the Love Building and spotted Professor Fuelberg in his office. Fuelberg and Hall agreed to join the project. Soon, they were conferring with Nicolaas and his students via Skype and planning a balloon launch for the fall of 2016. 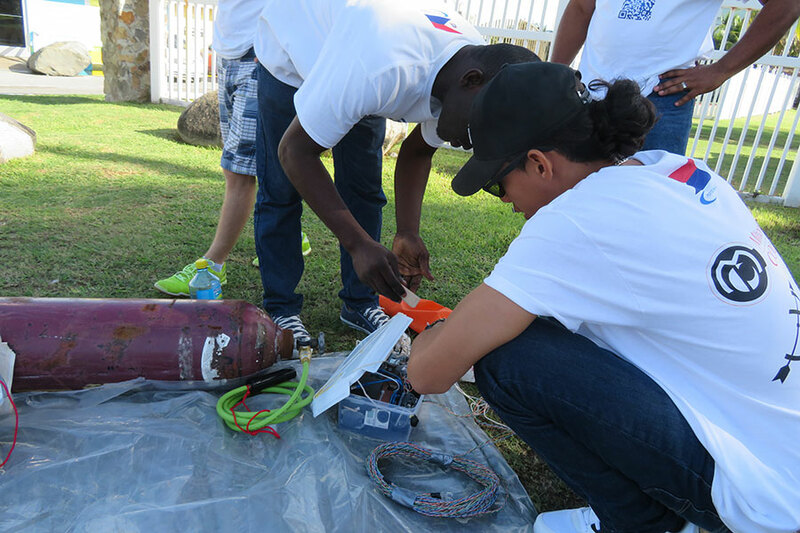 But they ran into a series of challenges that slowed the project, including a complex process of approval with Saint Maarten’s aviation authorities who wanted the balloon to burst at an altitude of 4 kilometers. That meant students had to devise a method to pop the balloon at the required altitude, which became a research project in itself. After several failed tests, they settled on a plan to tape halogen bulbs to the balloon and power them up in flight so they would get hot enough to burn a hole. But they faced another puzzling problem: Weather balloons are really durable. As students worked out each problem, they learned unexpected lessons; they learned about seeing possibilities; and they gained new confidence. On launch day, Fuelberg and Hall were in St. Maarten working alongside students to help bring the mission to a successful conclusion. Once again, they were forced to work out new challenges on the fly: The wind was gusting hard across the island and hindering setup; they discovered they had the wrong type of nozzle for the helium tank; and on-and-off rain showers complicated the process, even though they created a brilliant backdrop. However, the first two launches weren’t so pretty. First, the balloon crashed into the side of a mountain and had to be repaired. Then, it got tangled in a tree. But students persisted. Professor Fuelberg and doctoral student Tristan Hall helped students at Milton Peters College launch the weather balloon, so the easterly trade winds would carry the balloon across the 10-mile wide island. The red flash point on the flight path shows where the halogen bulbs finally created a hole in the balloon and caused it to burst. The equipment splashed down in the Caribbean Sea and was never recovered, but the sensors and cameras had already successfully sent their data to researchers on the ground. They launched the balloon and watched it slowly ascend west over the island — just 10 miles across at its widest point — as the payload carried its sensors, cameras and GPS-tracking gear. 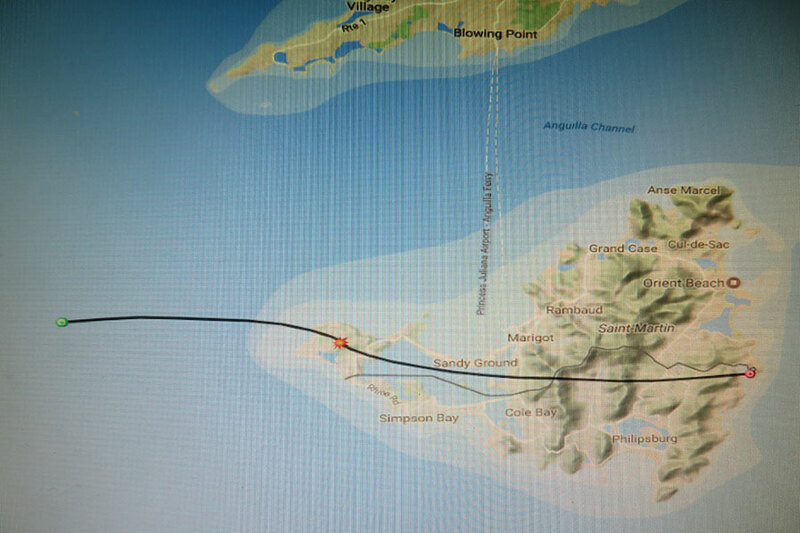 The cameras sent live video to the ground, allowing researchers to watch as the balloon passed over the community of South Reward, Simpson Bay Lagoon and the Le Flamboyant Hotel and Resort. Everything was working. Two years of brainstorming, designing, building and testing were paying off. Until the next problem cropped up: The hot halogen bulbs were not so hot, after all. 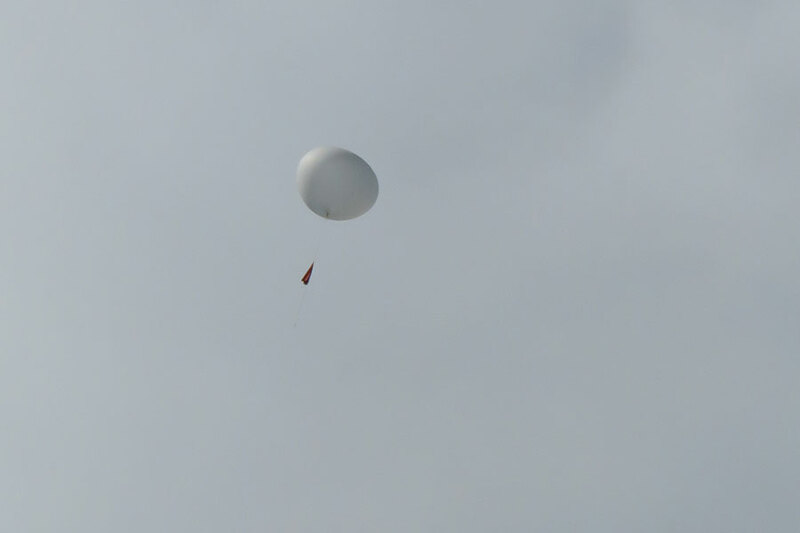 The research balloon hit the 4-kilometer mark … and kept climbing. Five, six kilometers … going strong. Seven kilometers … still soaring. The balloon and its equipment splashed into the Caribbean Sea and disappeared. It has not been found, but researchers were able to collect all data from the live-stream connection. They considered the project a big success. Nicolaas hoped the project would show students that nothing is impossible when you put your mind to it. As for Fuelberg and Hall, they were glad to reach out to these students in the Caribbean, help them work through obstacles and teach them lasting lessons.